This entry was posted on January 9, 2019 at 11:49 AM and is filed under the ugly. You can follow any responses to this entry through the RSS 2.0 feed. You can leave a response, or trackback from your own site. Vikram’s son is tooooo young for this movie! Looking kid! Wrong debut IMO! 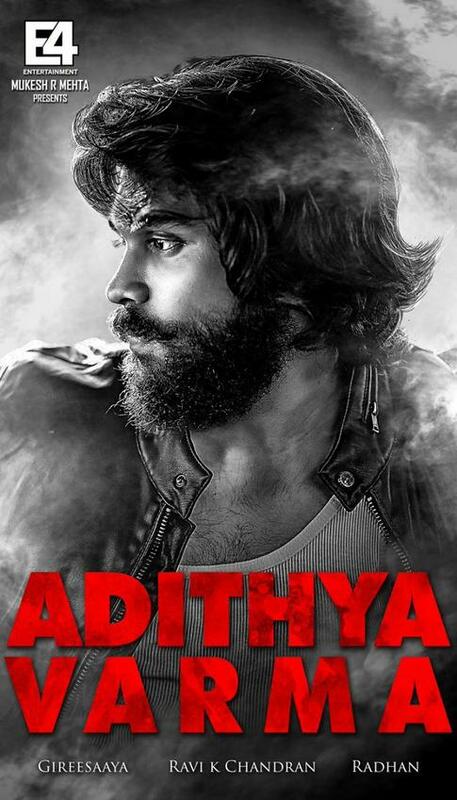 They scrapped this full completed movie and are now re-shooting the whole picture with new director, new actress, new cinematographer and all new starcast except the leading man Dhruv vikram. They replaced a reputed director like ‘Bala’ with the assistant director of Telugu original Arjun Redd, Giree Saaya which marks his debut movie. Now movie is renamed as Aditya Varma! I would like to see the scrapped movie by Bala someday. Maybe they can release it after this one releases as DVD or online. Very contrasting to see two movies for a debut actor with same story directed by 2 directors. Most unheard debut this one turning out to be!